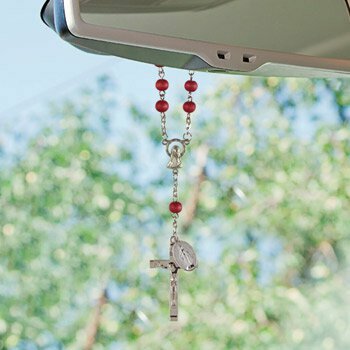 This auto rosary is a great way to express your faith and also acts a reminder to pray the rosary each and every day. Every rosary is crafted using rose scented wood beads, a Madonna centerpiece and Our Lady of Guadalupe dangle. Each is finished with a lobster clasp for ease in attaching to your rearview mirror.